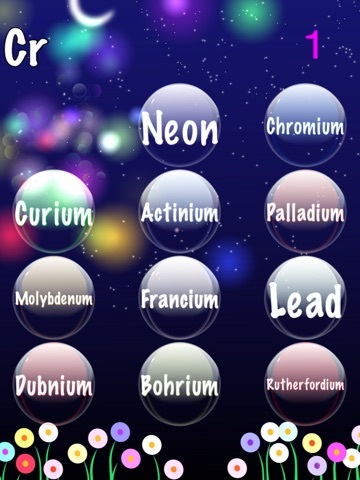 People love bubble popping games, wouldn’t it be great if we could also learn the elements of the periodic table while popping bubbles, if we need to do that for chemistry class. 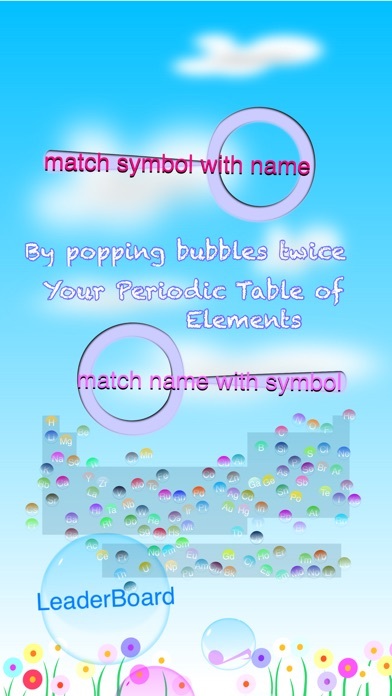 The game has two modes, in one the element symbol is given, and you need to pop bubbles with the correct chemical name. 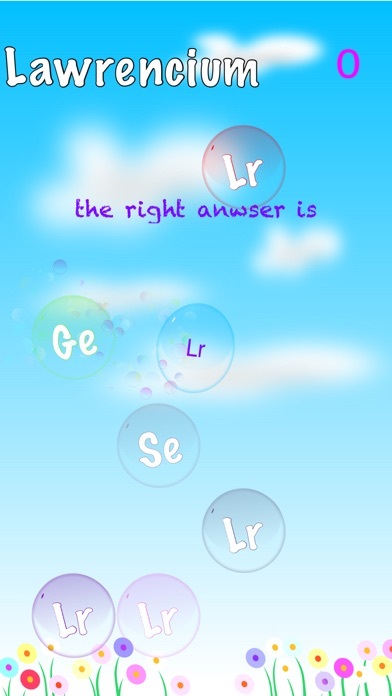 If you touch the wrong bubble, you still have a second chance to pop the correct bubble, but if you pop two wrong in a row, it will show you the correct element, and read the name of the correct element. 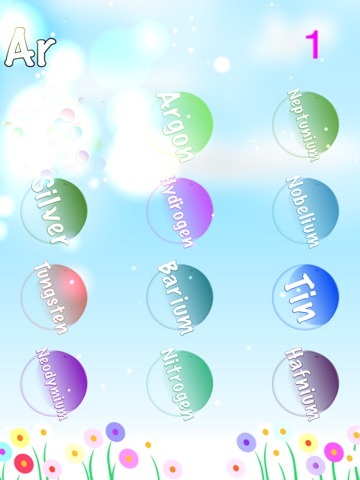 In the other mode, you are given the chemical name, and need to pop bubbles with the correct chemical element symbol. 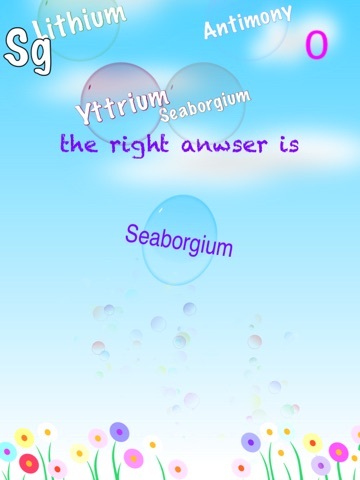 If you touch the wrong bubble, you still have a second chance to pop the correct bubble, but if you pop two wrong in a row, it will show you the answer. For variety the game has many different scenarios, there are sunny days, snowy days, clear nights, and snowy nights. There are rising bubbles, left to right floating bubbles, bubbles that spin in and out of view, and rotating bubbles, to add to the fun. 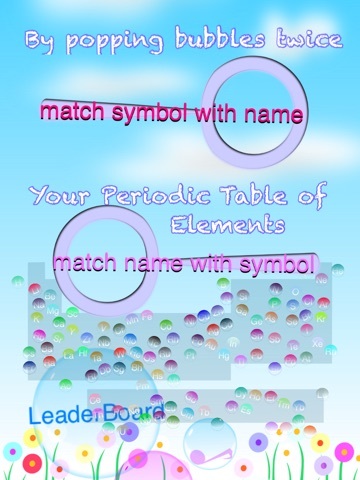 Every five times you match an element or name twice, you get a reward, some element in the periodic table is added to your set or won elements. The set of won elements is saved and builds up over time. 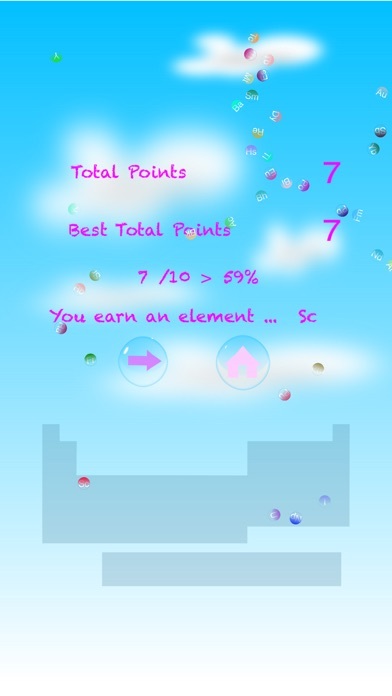 You can compare your total score in game center, and compete with your friends. 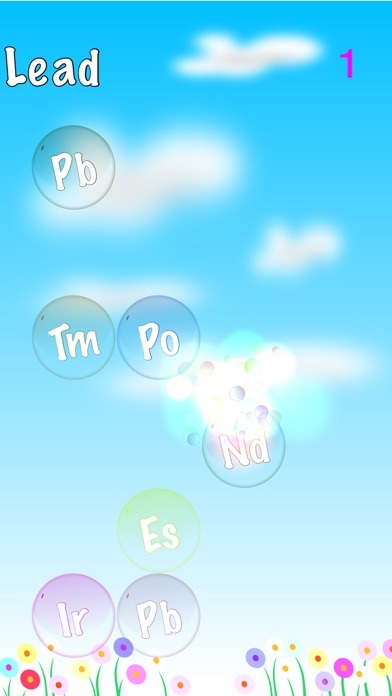 The elements yet to win float away, but the element bubbles you won so far stay in the periodic table. 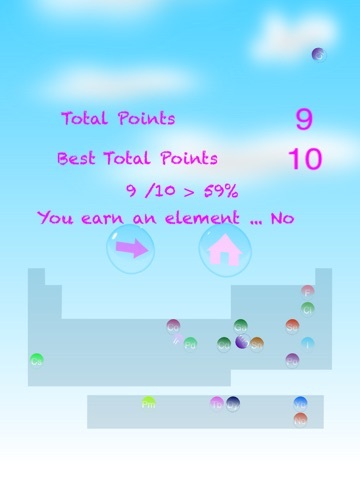 When you have won every element the table will show no floating elements. 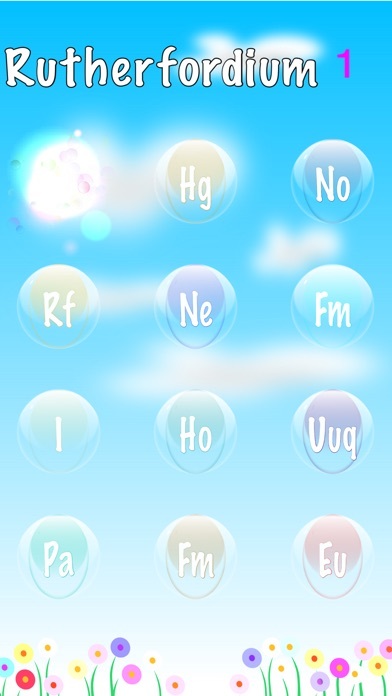 The game is supported by both English and Chinese.